Remember when you were a child, how fun bath time could be? It doesn't have to be drudgery as an adult. In fact, bath time can be fun again. Especially when you use bath bombs to help promote relaxation and to reduce the stress caused by day-to-day life. Bath bombs allow you to unwind, to finally breathe, and relax, the strong aromas of essential oils wafting around you. 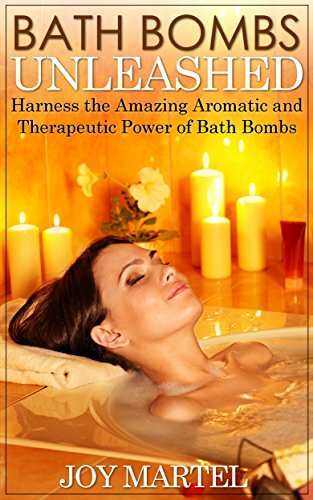 Plus there are the amazing therapeutic powers of bath bombs, the ability to moisturize and cure your skin, to reduce your anxiety, or to combat a headache. The possibilities are varied and amazing. Learn first hand how you can make your own bath bombs to turn your bath time into spa time. You will be shocked at how much fun bath time can become once again. Isn't it time that you pamper yourself? Bath Bombs Unleashed will show you how!